Termites are a very old and primitive group of insects. Termites have been around for over 250 million years. During the time they have existed, termites have developed a complex social system with ”colonies” being established. There are over 2,500 species of termites worldwide, with about 50 of them found in the United States, and about 3 species are found within the Baltimore, Washington, DC metro area. The most common we treat for is the Eastern Subterranean Termite. Termites specialize in breaking down the cellulose in wood. Cellulose can also be found on paper, cardboard, plant material, not limited to just lumber. Termites are one of the most destructive forces of nature to wooden structures. Every year termites are responsible for billions of dollars of economic losses due to damage. Insurance companies aren’t willing to issue a “termite damage insurance policy” there is only one way to protect wooden structures against termite: routine inspections and preventive or corrective treatment from a licensed and state certified termite and pest control company. 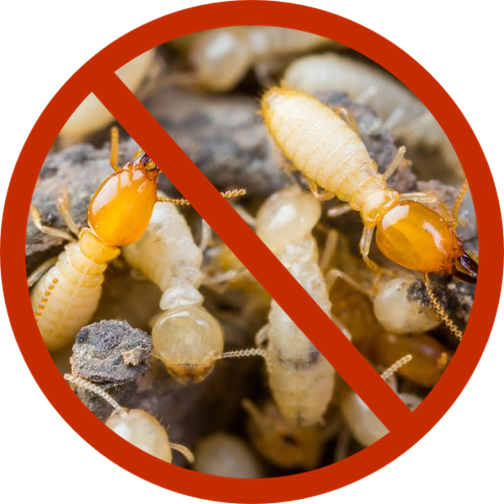 Raven Termite and Pest Control treatments consist of at least five different approaches to control a termite infestation within or outside of a structure.